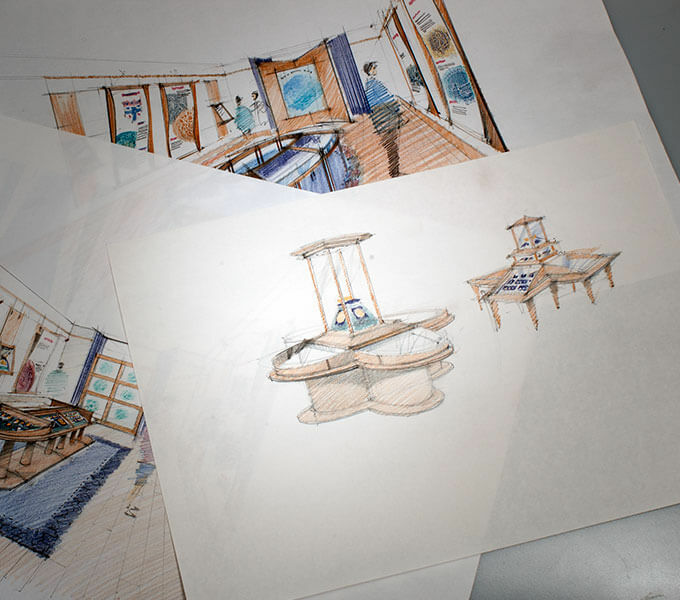 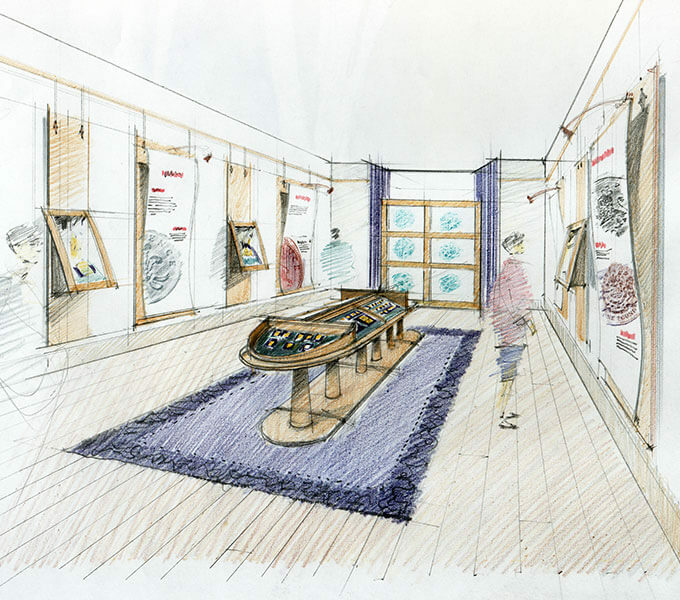 The Royal Mint approached us to design the exhibition and graphics for the Sovereign Gallery, an exclusive retail display space in their Grosvenor Garden premises. 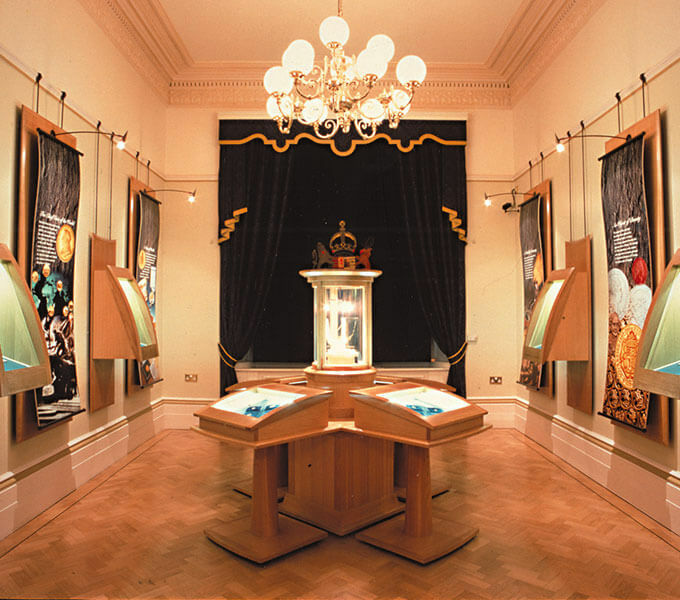 The history of the famous gold coin was explored through a design featuring curved graphic banners and bespoke furniture. 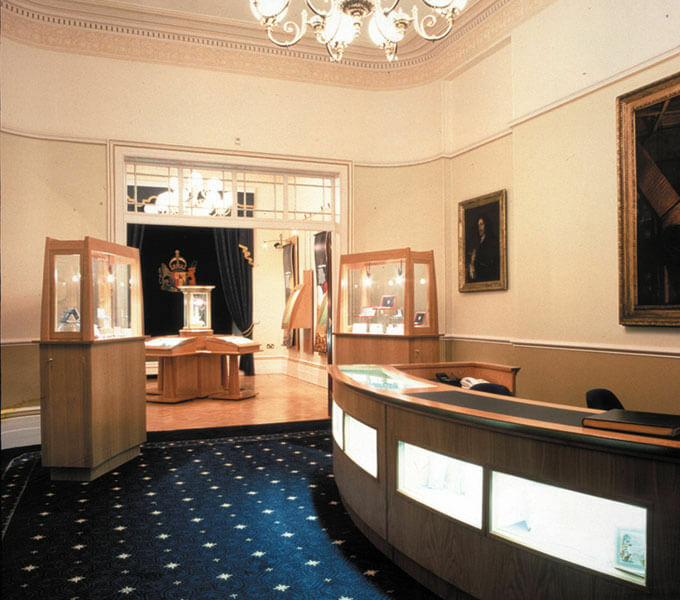 The exhibition’s centrepiece was a specially commissioned Indian wedding jewellery set containing dozens of sovereigns.